We have raised $1,740.07 of our goal. 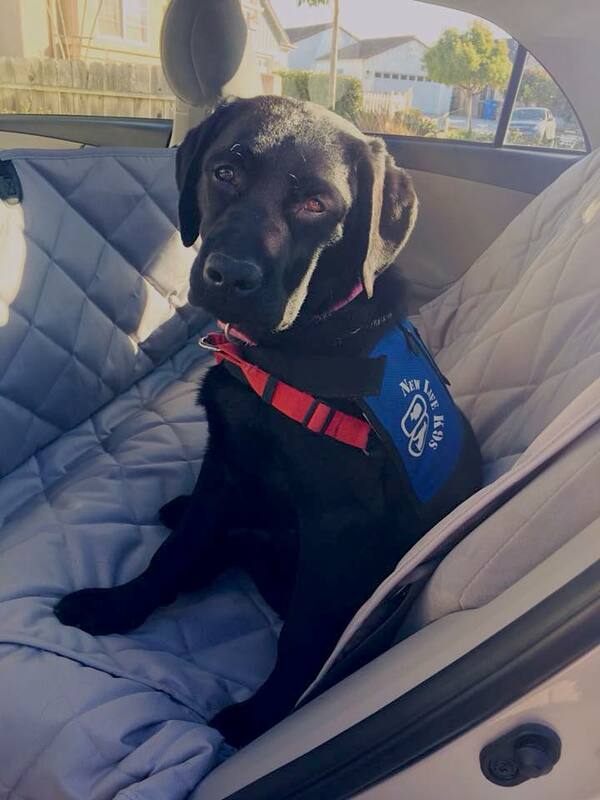 Hi, my name is Annie, and I am a black Labrador Retriever. I have two brothers in the program as well, and I had to share my 1st birthday party with them on May 5, 2018. My favorite color is pink, and when I am not in my learning session, I enjoy playing soccer. Also, I am the cover girl for New Life K9s' 2018 calendar! 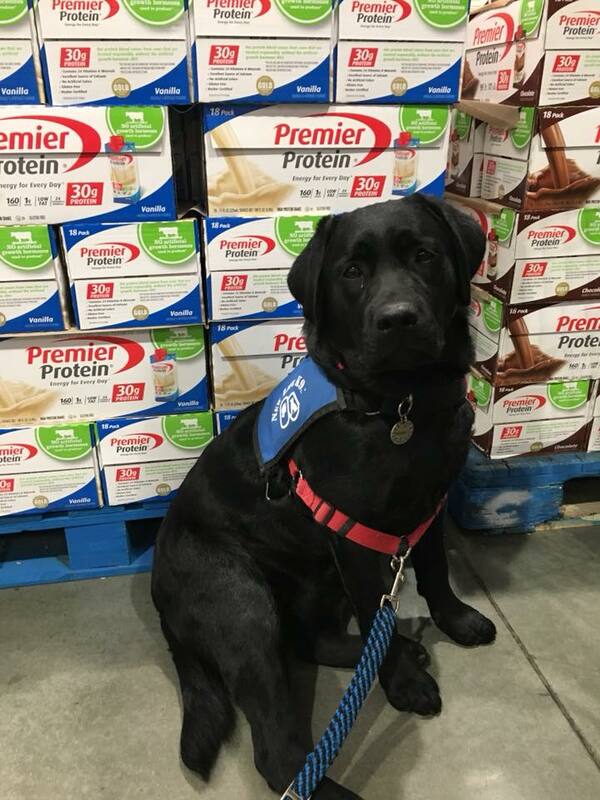 progress in becoming a service dog. Hey guys, it's Annie! I hope that everyone had a great holiday season. I got to go to Tahoe and play in the snow! It was so much fun and I got pretty dirty! My time at New Life is almost over, which is sad, but I'll be on my way to finding a permanent home soon! My teachers at CMC are getting sad too, so I do my best to cheer them up. We play, wrestle and laugh all the time! I love my teachers and they love me. Hey guys, Annie here! I’m now 18 months old and my newest job is cleaning up. After we run around and play, I help my teachers by picking up all the toys and putting them back in the crate. I learned how to do this by watching them, but now I can do it just like them. But my favorite thing to do is still to make a mess! I love to just run around and play with all the toys. Annie is the black version of the energizer bunny keeps going, and going and going. 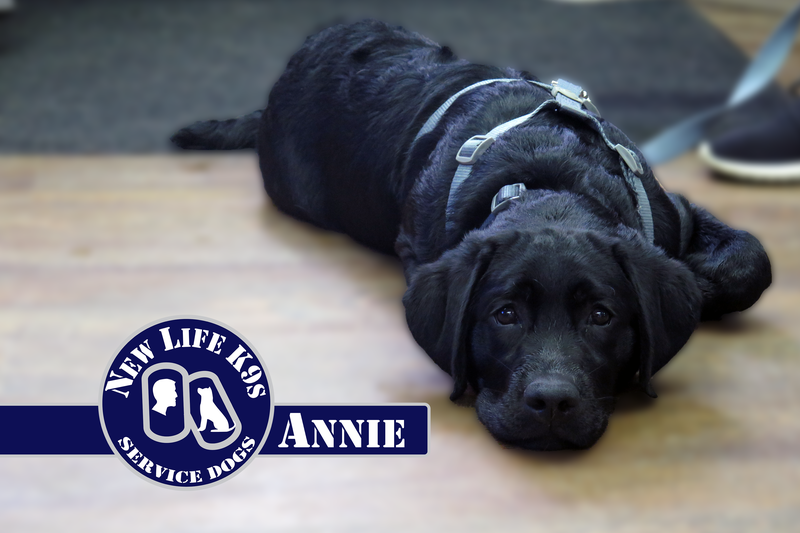 We are teaching Annie to help us out in our everyday tasks of our daily life. Have you see a footage of a great white shark jumping out of the water to catch its prey? Annie does something similar. As I bounce a racket ball off the wall, Annie loves to jump (twist and turn in the air) and catch the ball! I got a new nickname this month their saying I am a black lab version of the energizer bunny. She keeps going and going... But over time I am maturing and my parents are very proud of me. I am learning how to respond when my handler says "help me." They tie a tug on a crate and have the crate under a table. Then I see my person having a hard time pulling the crate out, I help him tug and get the crate out! I am full of energy and like to play. I work hard, but play harder. This month I learned how to “go get help" and “brace.” When my handler falls he will asks for help, I come over running and try to help. Though I do sneak in a few kisses on his face, because I think its funny. For “brace” I am still learning how to remain steady and not be shy about it. Slowly I’ll be able to help my person get up and be there when he or she needs an extra hand. 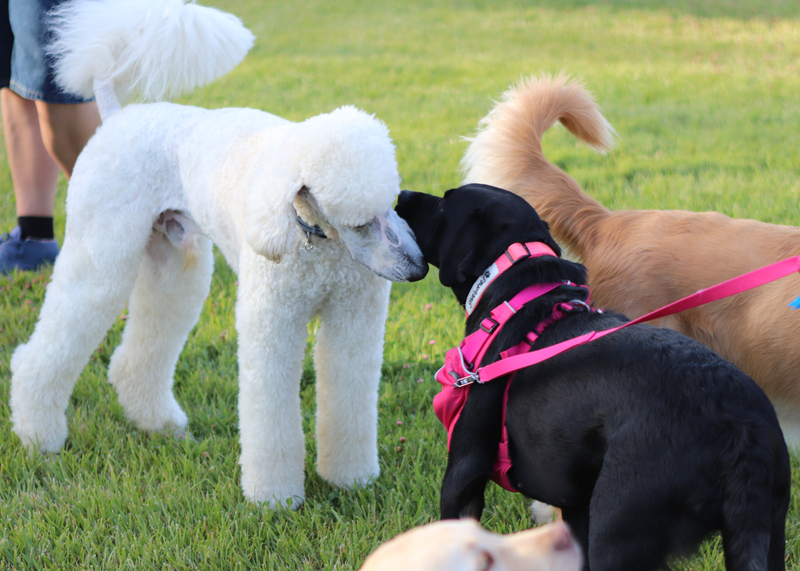 Recently I got to meet a Standard Poodle named Toby, who is being taught at the prison in Soledad; he seemed like a nice guy.